U.S President Donald Trump confirmed the place and date of his second summit with North Korea leader Kim Jong-un, as he delivered his State of the Union address to Congress on Tuesday night (local time). The speech, themed “choosing greatness,” was delayed two weeks amid the longest government shutdown in history. 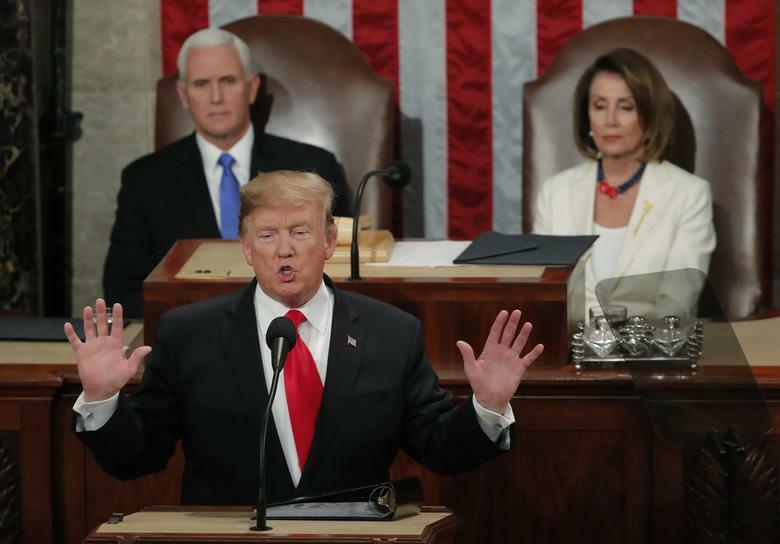 Trump vowed in his State of the Union address to build a border wall and said Democratic attempts at “ridiculous partisan investigations” could damage U.S. prosperity. Speaking in the chamber of the House of Representatives, the U.S. president called illegal immigration “an urgent national crisis” and urged Democrats and Republicans to find a compromise by February 15. He also mentioned his diplomacy with North Korea, including the plan for his second meeting with the country’s leader Kim Jong-un. “Much work remains to be done, but my relationship with Kim Jong-un is a good one,” he said. The U.S leader did not name a precise venue. “If I had not been elected president of the United States, we would right now, in my opinion, be in a major war with North Korea,” Trump said in his State of the Union speech.